Over the last few decades, celebrated theorists and philosophers have increasingly contemplated the future of humanity through a predictive lens—the meaning and purpose of our existence in light of the Bible’s end-times narrative. Is it possible that ancient prophets actually foresaw how the world would come to an end and how final salvation—including judgment of the nations—would precisely transpire? In this wide-ranging and authoritative discussion, prophecy experts examine some of the extraordinary PREDICTIONS in the new book I PREDICT! 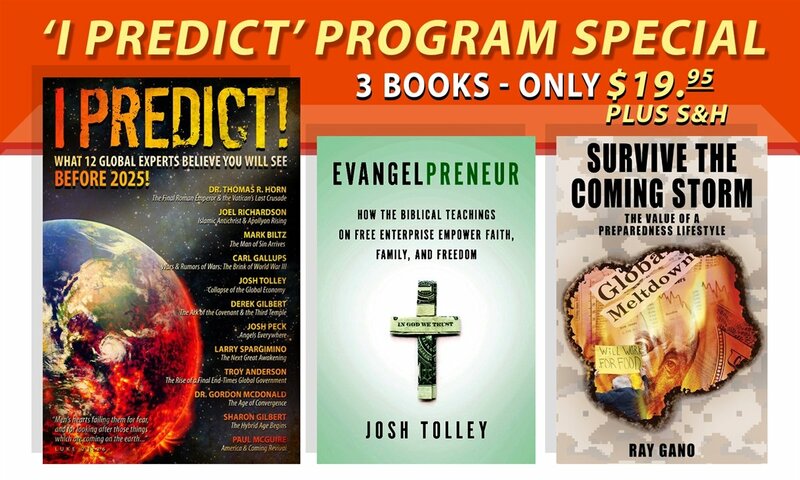 FREE BOOKS WITH PROGRAM SPECIAL! FREE WITH ANY DONATION IN JULY!